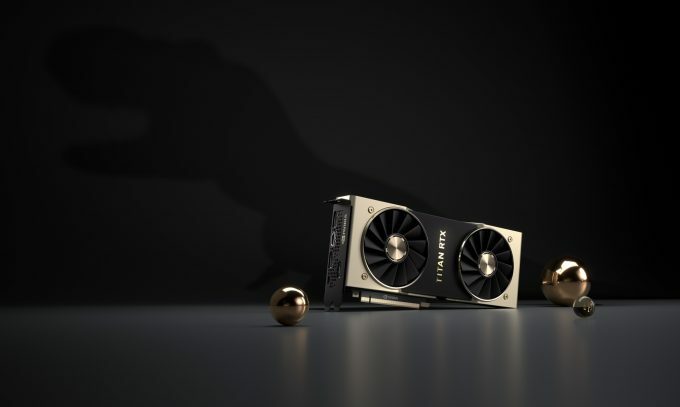 Dubbed the ‘T-Rex’ by NVIDIA, the TITAN RTX is the latest in the ray tracing focused RTX graphics cards to be announced. As is expected of a TITAN card, it’s a rather hefty GPU. Most of the performance specifications relate to its compute and ray tracing performance, rather than gaming, but needless to say, the cards will end up being used for games regardless. When you take a look at the overall specs, which you can see in the table below, the TITAN RTX is basically the same as a Quadro RTX 6000, which uses the full capabilities of the TU102 GPU, rather than a cut-back version the 2080 Ti uses. This is what makes the card so surprising, as it will potentially erode away some of the perks of the Quadro line. From what we can gather, the TITAN RTX is identical to the QUADRO RTX 6000 in pretty much every way, with perhaps small changes to clock frequencies, yet it will retail for $2499 instead of $6299 – a big difference in price for apparently little difference in performance. Quadro will have driver enhancements for specific applications through, but even then, through our testing, the difference are becoming smaller and smaller. The only notable times the Quadro P6000 performed better than a TITAN Xp and RTX 2080 Ti was with Solidworks and Siemens NX. The P6000 still had an advantage with memory at least, with 24GB instead of 12GB. Now with the TITAN RTX and Quadro RTX 6000 having the same memory, things are beginning to look murkier for the Quadro line. One small thing that did stick out for us was the TITAN RTX’s claim of 11 Giga Rays per second, compared to the Quadro’s 10 Giga Rays. We’re waiting on NVIDIA to get back to us, as this may be a typo, or perhaps drivers have matured so that the Quadros will perform the same going forward, as we can not see any other reason for this small change. Update: NVIDIA has since got back to us and confirmed that even the Quadros now have better RT performance compared to launch. TITAN V CEO* 5120 1455 MHz NA 32GB 4096-bit HBM2 870 GB/s GV100 $???? * TITAN V CEO is a special edition that is not commercially available currently. It features additional specs that differ from the regular TITAN V, such as extra ROPs, more cache, etc, as well as the extra VRAM. Another interesting point to be raised by this launch, is what happens to the more expensive Volta-based TITAN V? When Turing launched with the RTX cards, the Tensor cores were updated from what we saw with Volta, increasing performance by about 20%. 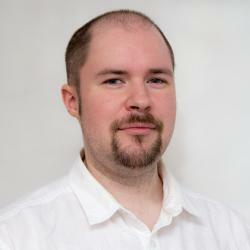 This means that despite the TITAN RTX having fewer Tensor cores, it should perform faster in certain compute and AI workloads, especially with the extra core frequency. However, the TITAN V will still have a market even after this launch. The TITAN RTX has significant performance in FP16 and FP32 accumulation tasks, but it falls short on high-precision FP64, being a 1:32 ratio in performance. The TITAN V otherwise maintains its FP64 performance since it’s only a 1:2 ratio compared to FP32. 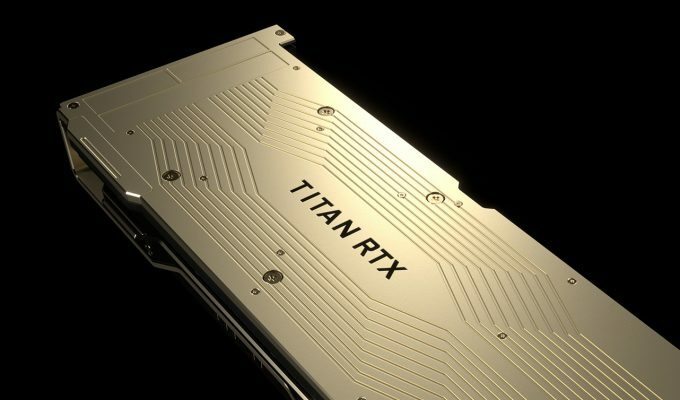 By the numbers, TITAN RTX can do 0.51 TFLOPS of FP64, while the TITAN V can do 6.9 TFLOPS. If you work in finance, energy, medical, or physics, with a greater focus on FP64, then the TITAN V will still remain the better card – providing you are not memory constrained, in which case you may need to jump up to a GV100, a Tesla V100, or T4. From a gaming perspective, sure, the TITAN RTX is faster than the GeForce 2080 Ti, but it won’t be four times the price faster. TITAN RTX is definitely a workstation class card, as even the humble Pascal-based TITAN Xp could out-perform the 2080 Ti in a number of workloads. 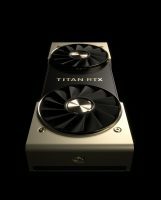 This new TITAN will just push those workstation suites even further, although reviews will still be required to confirm – if NVIDIA decides to seed a few cards for reviews.